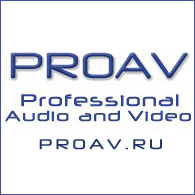 -----a professional film and television equipment, which is newly launched by wondlan. It is specially desed by American top-level designers of film and television equipment according to requirements of shooting professional film and television, wedding, advertisement. Ares continues high-end professional quality of Wondlan, which can be compared with steadyCam professional effect. This unique and proprietary design allows wondlan series DV stabilizer to be a stabilizer with the fastest adjustment in balance and the most convenient in use of the world. Wide range in application of Gimbal technology: widely used in industries such as space navigation, navigation, cars, trains, ships, large machinery and so on. This highly sophisticated technology with skilful design of America wondlan design engineers can be applied in family. Dual link rod U-shape crank arm model and hollows out design greatly changes swinging of similar products caused by wind resistance. America wondlan design engineers prove that U-shaped crank arm design easily achieves precision dynamic balance through accurate calculation, continuous measurement and numerous tests. Besides its adjustment is simple which greatly reduces mounting and adjustment time. 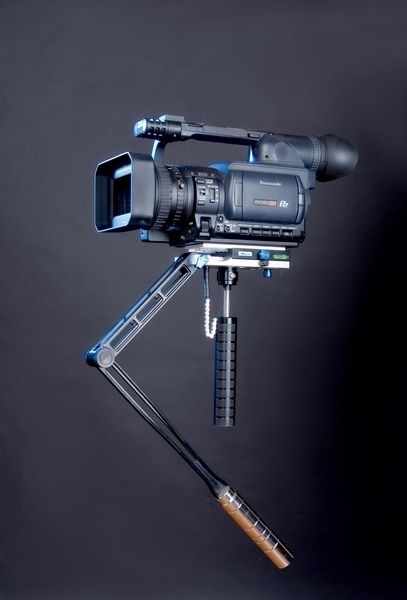 America wondlan greatly absorbs shock during shooting with its particular Handheld damping and balance patent design, achieves perfect combination combining with bidirectional Pan & Tilt trimming system and allows your camera shooting to realize the best stable effect. Counterweight of America wondlan has characteristics of: wide application range complete Specification, convenient trimming, quick disassembly and assembly. Rider spring allows operators to control the camera easier, especially to avoid camera swinging side to side by a wide margin when run or move quickly. Pay attention in using rider spring: The index finger hooks gently on the rider ring to avoid camera producing airflow in high speed movement, which will influence side to side swing. Upper balancing pole is designed with double pole and hollow out design, which not only strengthens the stability but also fold lower balancing pole within. Locking wrench is fixed at where platform and balancing pole attach. Lower balancing pole can be folded or unfolded and be locked at where upper and lower balancing poles attach through knob. (1) Professional stable performance: professional “universal dynamic self-balancing system” and “Handheld damping system” allows Ares series stabilizer to achieve smooth and stable shots and realize professional standards no matter quick run, normal shoot or travel over rugged terrain. 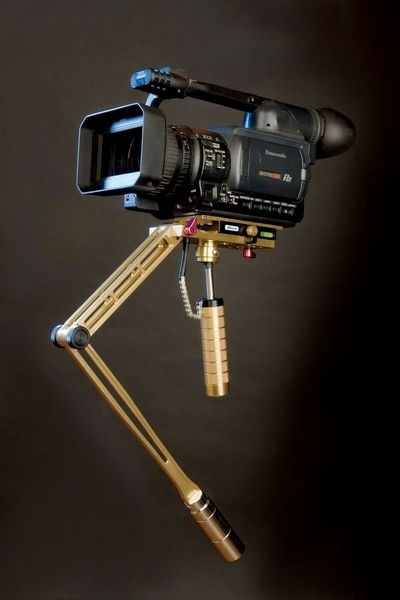 It completely can compare with effect of professional SteadyCam. (2) Easy debugging: balance adjustment is an important and necessary process before stabilizer works. Accuracy of balance adjustment influences the effect of shooting frame and handling of cameramen directly. Simultaneously whether the adjustment mode is easy or hard decides the master of camera operator and convenience of use in the future. At present the overwhelming majority stabilizers are lack of fine tuning system or bad in fine tuning accuracy, professionals often need several minutes, which is very troublesome in balance debugging, besides the support models are limited. Invention of Wondlan Ares stabilizer meets requirement of professional markets immediately such as film and television, wedding, advertisement and so on. (3) Excellent handling performance: wondlan Ares series is specially designed by American top grade film and television designer. Its dual-link U-shaped crank arm and hollow out design is the research achievement through accurate calculation, repeated measurement and numerous experiments of wondlan engineers. Professional universal self-balancing system which is improved several times and damping handle which can greatly absorb shock allows wondlan Ares stabilizer to have first-class handling performance, no matter whether professional cameramen or DV enthusiasts can both shoot professional film effect easily. (4) Light in weight: Ares series is light in weigh and stable performance with its skilful design. Ares series full-weight aluminum body is only 1.2 kilograms, which is one of the world's lightest stabilizers. You can shoot stably for a long time after equipping with a professional camera, which not only reduces the burden on the photographer but also enhance the effect of shooting. (5) Exquisite workmanship and excellent quality: produced by international advanced CNC production lines and adopt international advanced surface treatment process of navigation special precision lens. (6) Favorable price: wondlan Ares series allows film and television professionals as well as the DV amateurs who refused by SteadyCam to realize their dream of shooting themselves through wondlan stabilizer and allows each cameraman who interested in professional film and television shooting to own a good shooting tool that can compare with Hollywood movie shooting master.